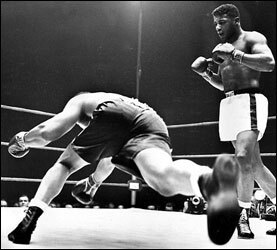 Floyd Patterson knocks out Archie Moore to Win the Heavyweight Boxing Championship of the World. 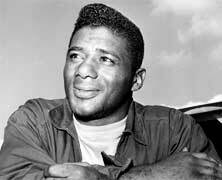 1935 – Floyd Patterson Born. Patterson was born in Waco, North Carolina and was an Olympic Gold Medalist middle-wright boxer in the 1952 games in Helsinki, Finland in 1952. He later trained under Cus D’Amato and would go on to defeat Archie Moore to become the youngest Heaweight boxing champion of the world. He fought against all of the major champions of the day and compiled a record of 55-8-1 with 40 knockouts. He lost famously to Sonny Liston and then Muhammad Ali and retired in 1972. He would serve as the chairman of the New York State Boxing Commission and was inducted into the International Boxing Hall of Fame in 1991. 1777 – Prince Hall, an abolitionist and the founder of the first African American Masonic lodge, led 73 Black delegates in presenting a request to the Massachusetts Senate requesting funds to emigrate to Africa. Hall believed that they could take the knowledge gained in the United States to Africa, whereby they could be come leaders on the continent. When the Senate rejected his plea, Hall turned to trying to improve the plight of Blacks through education and social standing.